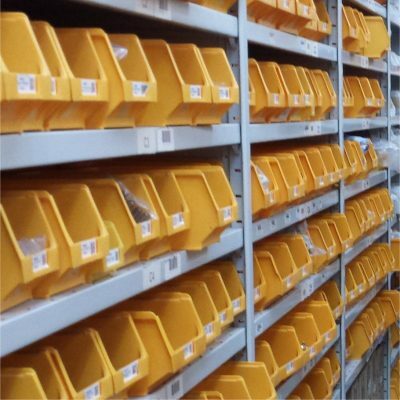 Have you ever stopped production due to an unexpected stock shortage? Do you trust the levels stated by your MRP system? These two questions are undeniably linked. Getting caught out by stock shortages is one of the main causes of production hold-ups, and often traced back to an MRP Quantity on Hand (QOH) deficiency. Naturally to solve this problem you would increase the frequency of your stocktaking to keep the QOH up to date. We’ve all been there. Changing stocktaking procedures from annual to biannual. Biannual becomes quarterly. Quarterly turns into perpetual inventory. No matter what your stocktaking frequency you still don’t seem to be able to trust your MRP stock levels. Actually there is nothing wrong with the approach. It’s just that it’s not fast enough. And that’s why you need TalliScan. 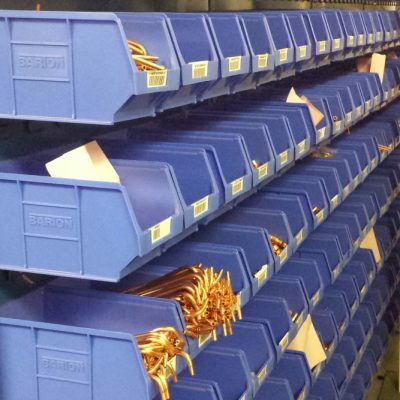 …how many parts bins can you count daily with your current methods – 10, 20, 50? However many, it probably doesn’t cycle through your inventory before a full quarterly stocktake brings your MRP back into line. In the meantime it still leaves you vulnerable to unforeseen shortages. 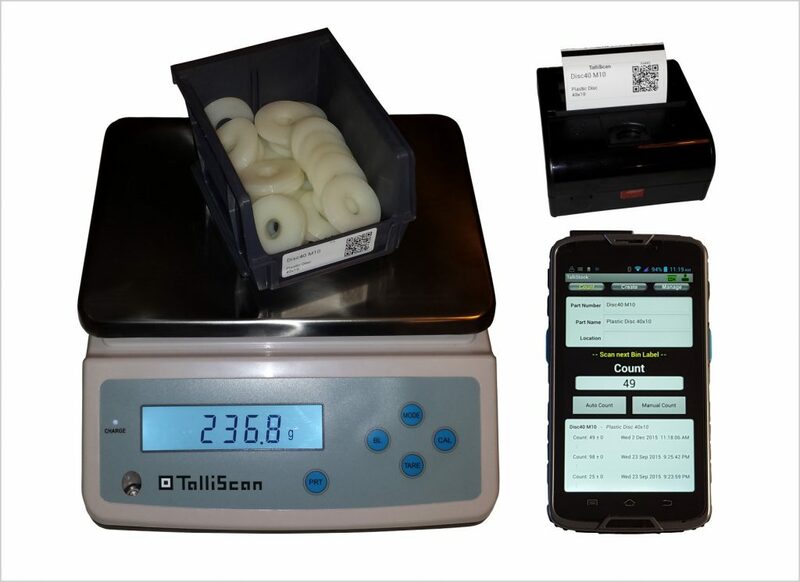 With one TalliScan Stock Control system a single operator can count 300 bins in an hour. 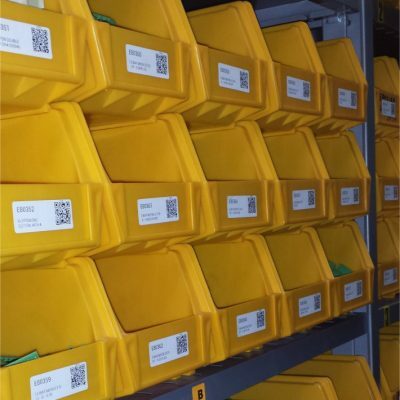 Now perpetual inventory can actually keep your MRP Quantity on Hand up to date. And remember, such speed also means 2000 bins can be counted by one operator in just one shift which makes light work of your quarterly stocktaking. 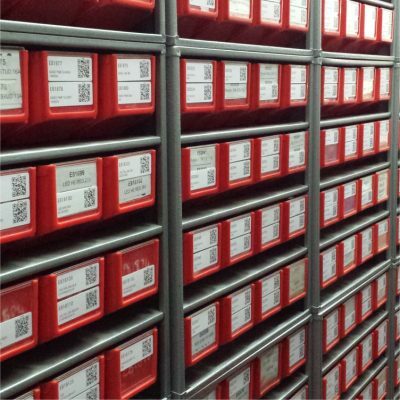 Whether you work with reeled surface-mount components, small plastic washers, switches, valves, housings, wire, cable or stainless steel fixings TalliScan will count your stock for you. Stocktaking your loose parts has never been this easy…or this fast.